A collection of landscape and travel images taken from the United States of America. 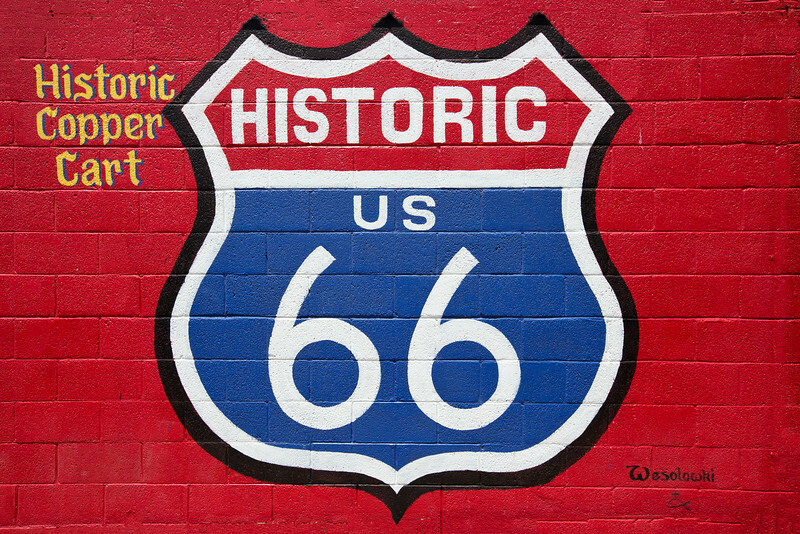 Historic Us Route 66 has many cool sights along the drive. This artwork was found in paint on the side of the Copper Cart restaurant in Seligman, Arizona.